It is with great sadness that we share with you that our dear friend and colleague, George Riley, died on June 20, 2018. He passed away at Hospice Atlanta after waging a courageous battle with brain cancer. Riley joined the Georgia Tech School of Electrical and Computer Engineering (ECE) faculty in 2001, after earning his Ph.D. in Computer Science from the College of Computing. In the mid 1990s, he decided to pursue a career in academia after a lengthy and successful career in industry, both as an employee of a major corporation and as owner and president of several small consulting companies. From 2013-2017, Riley served as ECE’s associate chair for graduate affairs. 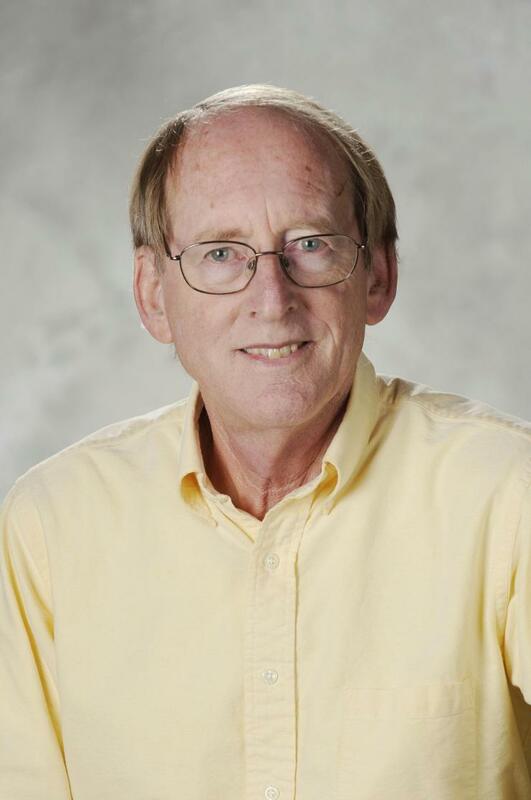 During his career in ECE, Riley had an outstanding reputation in teaching programming techniques, computer networking, and engineering software design. He was recognized with the Richard M. Bass/Eta Kappa Nu Outstanding Teacher Award in 2008, and he received the Georgia Tech W. Roane Beard Outstanding Teacher Award in 2009. Over the years, Riley was involved with K-12 outreach activities, including the ECE HOT Days camp for high school students, and was honored for this work with the ECE Outreach Award in 2010. Riley’s research focused on creating more efficient methods and tools for simulation of both wired and wireless computer networks. He also worked in Internet measurement methods, Internet routing protocols, and development of numerical methods for monitoring and adapting finite queue sizes in packet-based networks. Riley also worked on the application of large-scale simulation methods towards the simulation-based design and analysis of multi-core systems and on-chip networks. He graduated 12 Ph.D. students and published over 120 refereed journal and conference papers. Always highly involved in the larger Georgia Tech community, Riley served as the chair of the Georgia Tech Executive Board, in the Academic Senate, and on the Institute Undergraduate Curriculum Committee for six years, with two of those years spent as its chair. He also led a campus wide international plan task force in 2011. Riley is survived by his wife, Kris Nagel, who is an academic professional in ECE. He is also survived by his children, Patrick, Jennifer, Michael, and Matthew, who are all involved in computer science- or computer engineering-related fields. Patrick is a principal engineer and the senior researcher on the Google Accelerated Science team; Jennifer is the associate dean for Digital Initiatives at the McGill Library at McGill University; Michael is a Georgia Tech computer engineering alumnus who is now a research scientist in GTRI’s Information and Communications Laboratory; and Matthew is pursuing his bachelor’s degree in computer engineering and is a co-op with GTRI’s Electronic Systems Laboratory. Services will be held this Saturday, June 23 at 11 am at Oak Grove United Methodist Church, with a reception to follow. The church is located at 1722 Oak Grove Road, Decatur, GA. 30033; the phone number for the church is 404-636-7558. In lieu of flowers, contributions can be made to a Georgia Tech scholarship fund in Riley’s memory. All donations should be made payable to the Georgia Tech Foundation Inc., and mailed to 760 Spring Street NW, Suite 400, Atlanta, GA 30308. Please indicate on the memo line "George F. Riley, PhD Memorial Fund." Donations may also be made in an online gift by going to http://development.gatech.edu and click on the "GIVE NOW" and enter "George F. Riley, PhD Memorial Fund" in the "Other Designation" Box. Memorial gifts may also be made to Oak Grove Traditional Music Ministry or to FOCUS. Please join us in keeping the Riley family in your thoughts and prayers during this sad and difficult time.